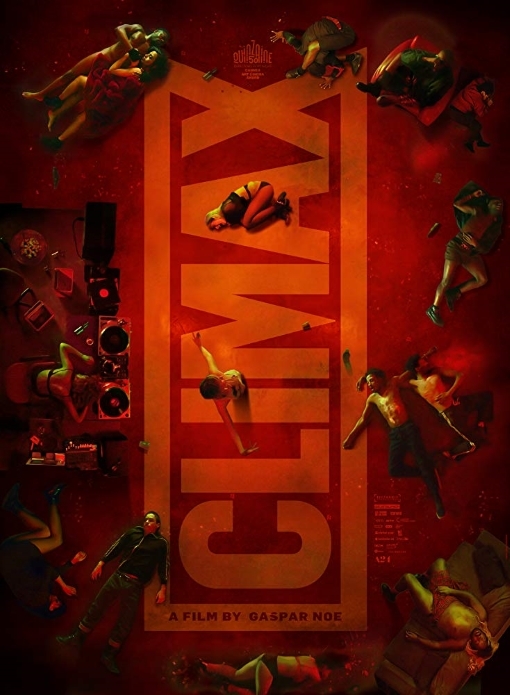 One thing you are guaranteed with a Gaspar Noe film is a good poster. Whether or not you like his aggressively immersive and highly sexualized cinema, the key art is always distinct, original, and magnificent. Today we have the first poster (there is also a less interesting quad), which depicts a bacchanal of partying and passing out from a God's eye view, with the films bold Helvetica-ish title painted on the 'floor.' A few distribution logos provide very tiny textual augmentations, but really what draws the eye are all the characters in various states of contentment, ecstasy and disarray. Just for fun, I've dropped the teaser trailer, which is edited like a fusion of both Enter The Void and Irreversible, in here as well.